Do 401(a) Defined Benefit Plans Qualify for Retirement Savings Credit? 401(a) contributions might not qualify for the saver's credit. 1. Is an IRA Better Than a 457? 2. What Are Refundable Vs. Non-Refundable Tax Credits? 3. How Does a Tax Credit Affect My Taxes? Certain taxpayers can qualify for an IRS tax credit when they save for their retirement in qualified accounts. When a worker puts money into a plan under 401(a), it may qualify for the credit. However, defined benefit plans under 401(a) that are funded by the employer do not qualify. The IRS offers a retirement savings credit to help defray some of the cost of saving for retirement for middle- and lower-income taxpayers. However, it is only available in a relatively narrow band of incomes that the IRS can change periodically. As of this publication, a saver can only qualify for it if his modified adjusted gross income is below $30,000 if he is single, $45,000 if he is a head of household or $60,000 if he is married and files jointly. The value of the credit goes down the more a taxpayer makes annually. Taxpayers with low incomes get up to 50 percent of their contributions back as a credit. The credit drops to 20 percent and then 10 percent as the taxpayer's income increases. It can only be applied to the first $2,000 in net contributions that a person makes to their qualified accounts, giving it a maximum value of $1,000. In addition, the credit isn't refundable, so it can only be used to reduce what a taxpayer owes the IRS at the end of the year. Whether or not a 401(a) plan qualifies depends on the type of 401(a) plan it is. Technically, any qualified pension plan is a 401(a) plan. This means that a 401(k) plan is also a 401(a) plan, kind of like how a square is also a rectangle. However, when a taxpayer uses 401(a) to refer to an employer-funded plan, such as a profit-sharing plan or an employer-funded defined benefit plan, the rules are a little different because he can't claim the credit for money someone else puts into his plan for him. 401(k) plans aren't the only types of plans that qualify for a saver's credit. Contributions to other workplace plans, such as 403(b) annuities, 457 plans or 501(c)(18) plans also count. In addition, money that a saver puts into a self-employed or small-business plan, such as a SIMPLE IRA or salary reduction SEP plan, can also qualify. Finally, a direct contribution made to an IRA or Roth IRA can also be partially offset with the credit. 401khelpcenter.com: What Is the Difference Between a 401(a) Plan and a 401(k) Plan? 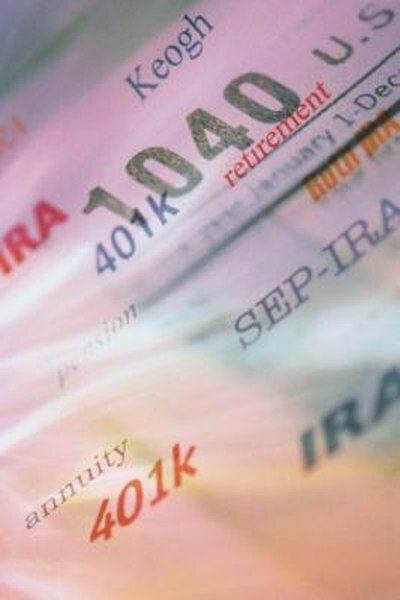 Does an IRA Deduction Reduce Your AGI? What Is the Maximum Dependent Care Deduction? If I Pay My Niece's Mortgage Is This a Taxable Gift?